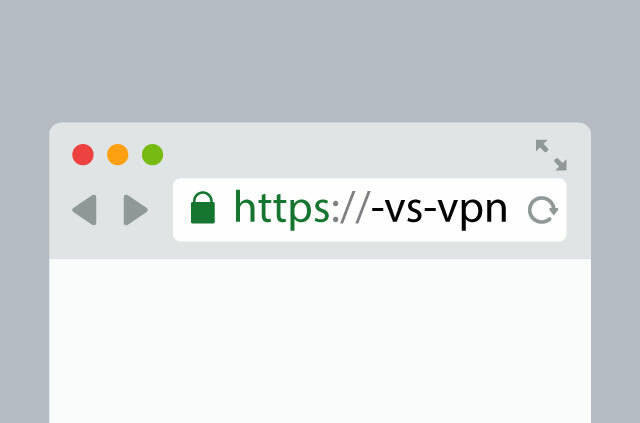 HTTPS vs. VPN is a battle that makes very little sense. Both are important means of internet protection, and there is absolutely no conflict between the two. Importantly, HTTPS is set by the owner of the website, and the user has no control over it. Some sites are available via HTTP and HTTPS; in these instances, always opt for HTTPS. To see if the site you are browsing has HTTPS enabled, look for a green lock on the left-hand side of the browser (URL) bar. HTTPS provides authentication of the website and its associated web server, which protects against man-in-the-middle attacks. Additionally, it encrypts communications between a client and server, which ensures the communications between a user and website cannot be read or forged by any third-party reader. With HTTPS, nobody in between the website and the user can read the data, not even a VPN company. A VPN is set up by the user and works on every website or application online. A VPN creates a secure tunnel between a computer and the internet, allowing anonymous browsing. A VPN gives users the ability to appear to be anywhere they choose and will circumvent any internet restrictions in place. When you are connected to a VPN, your ISP only sees that encrypted traffic is passing through VPN servers, but it cannot decipher the data or know which websites you have visited. HTTPS will encrypt information you enter into a website, but it won’t disguise your location or offer any privacy protection. It will also not offer any defense against internet censorship. A VPN will encrypt communications between your computer and the VPN servers, hide your IP address and location, and grant access to the whole web, but it won’t protect you from the information you share willingly, like a credit card number typed into an unsecure browser page. In short, HTTPS is a fantastic encryption protocol, and a VPN is a must for the privacy conscious and those who wish to view the whole internet without restrictions. It’s not a case of VPN over HTTPS. The two work well together—a marriage made in cyber heaven.